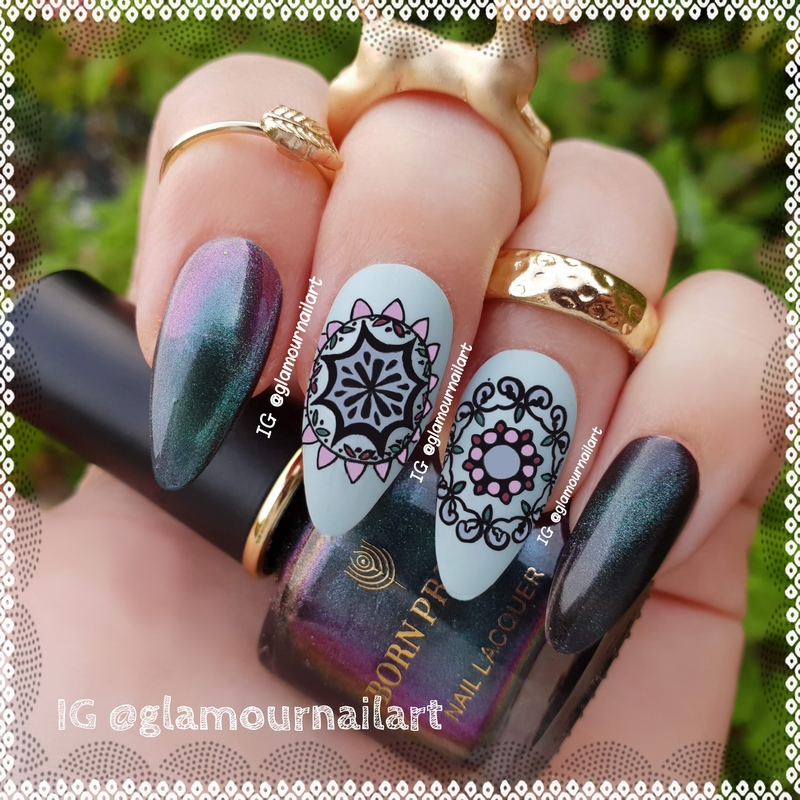 To do this design I was inspired by the talented Lynieczka on Instagram , I tought it was great design to give my new brushes a try. When I opened the package I saw all this pretty tiny brushes in different colors and with a cap on it to protect the brush. Very usefull, with the cap, the hairs of the brush don’t get damaged when they’re in a box or bag. The brushes are very tiny and perfect to paint delicate designs. I was really amazed by how handy and easy to use these brushes were, I could paint very small details without any problems. I only used polish to paint this mani ! The brushes are easy to clean, I used non-acetone polish remover. I can really recommend this small brushes if you love doing nailart. I used Rimmel ‘Fizzy Applelicious’ 🍏🍏🍏 texture polish for the background. It has a nice brush, that applies very well. It’s not a real texture polish because the texture is very subtle. You see it but when you touch it it feels more smooth than other texture polishes. You have to apply 2 or 3 coats to get the color in the bottle. I solved this by using a white coat under this polish. That gives a great effect. This polish has a thin and elegant brush. Smooth polish but only after using 3 or 4 coats you get the color of the bottle. One coat is enough to get the color from the bottle.